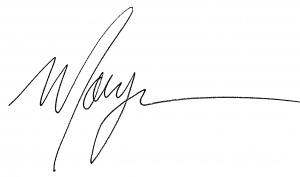 Writing a quick note to a friend or family member you may abbreviate LOL, OMG or BTW. But what about the ancestor of modern abbreviations; OK? What does it mean? We all say it, but do we know where it comes from. Apparently it comes from “oll korrect” which they say was a comical abbreviation during a fad in New England in the 1830’s, along with OW (oll wright) and KY (know yuse). It caught on permanently during the 1840 presidential campaign of Martin Van Buren who was nicknamed Old Kinderhook. The markets appear to be OK. As we look across the spectrum, the broad equity markets in the US, international, and emerging markets were all positive in the second quarter. Bonds also clocked positive returns for the quarter. The broad US market posted positive results for the quarter, but underperformed both the international and emerging markets. Even with a slow down toward the end of June, technology stocks are currently on top of the leader board for US stocks, while the energy and telecommunication services sectors are down double digits. Not OK.
A big congratulation is in order for Orange County, California. Orange County made their last debt service payment to bondholders from the recovery of the 1995 Chapter 9 bankruptcy filing. Yippee! Interest rates were mixed across the US fixed income market during the second quarter. The yield on the 5-year Treasury note decreased 4 basis points (bps) to 1.89%. 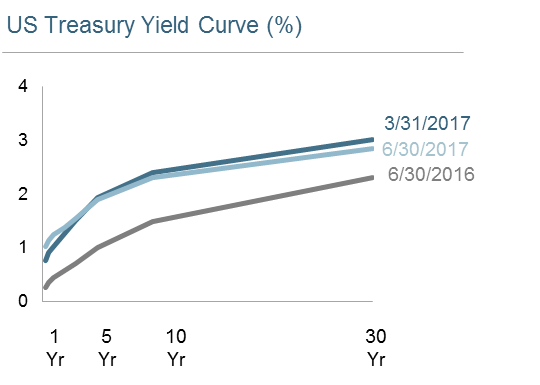 The yield on the 10-year Treasury note decreased 9 bps to 2.31% and the 30-year Treasury bond decreased 18 bps to 2.84%. The shorter term note increased in yield as the Fed bumped rates. 3-month Treasury notes climbed 27 bps to 1.03%, the 1-year Treasury rose 21 bps to 1.24% and the 2-year Treasury yield rose 11 bps to 1.38%. As you can see above the curve is flattening as the Fed bumped the short-term rate and longer term bonds sit tight. What could derail the current market? 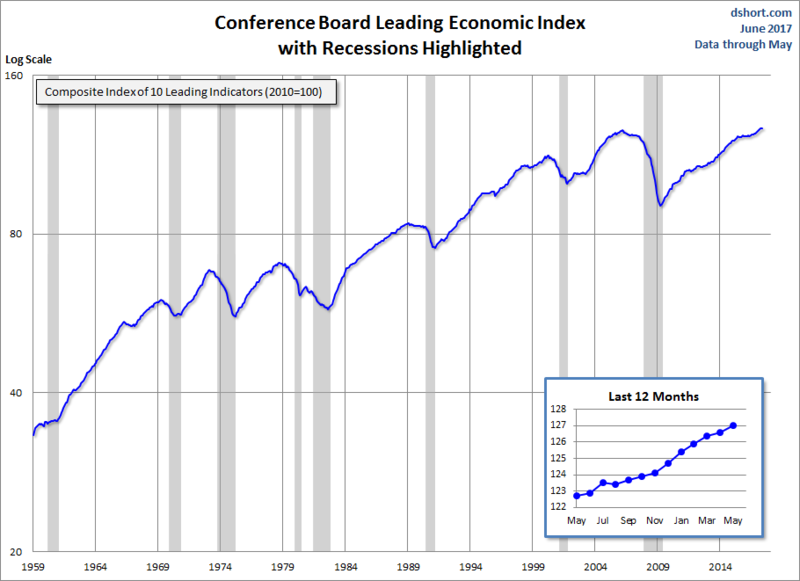 We are always looking for signs of a recession, as they can derail the markets and push us into bear territory. From reports we watch and read, there doesn’t appear to be a recession looming in the near term. 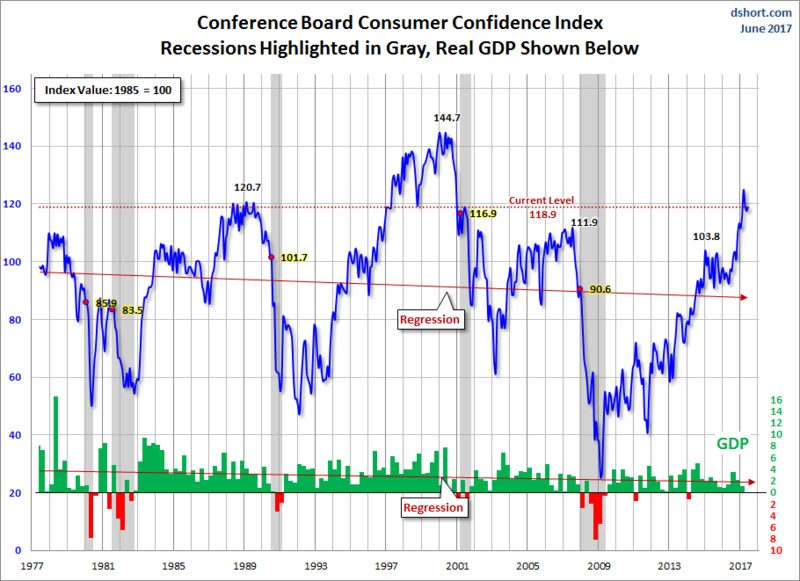 CEO confidence is at its highest level since 2004, while consumer confidence remains elevated. Even with the Fed bumping rates, bond yields are anemic, which generally bodes well for equities. Board games are back in a big way. Hasbro has launched a subscription service to have games delivered to your door. The crate delivery will cost you $49.99 and will have two offerings, one for families and one for adults. Right hand on yellow. 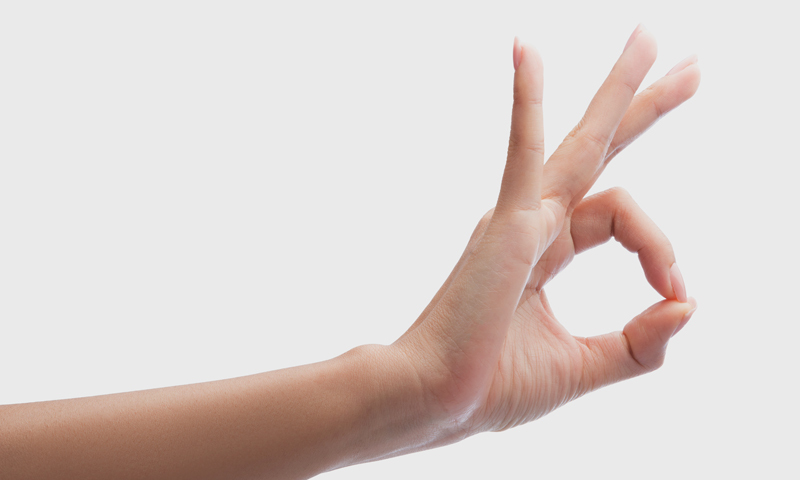 While not trying to rehash the old, we believe the markets are OK for now and the reports are currently showing the OK sign regarding recessionary pressure, at least in the next 6 months. We have been OK with rebalancing and taking a bit off the top of the international and emerging market positions in accounts that may need adjustment. We appreciate the trust you have put in us to help you in your quest for financial independence and we hope you are OK with that. How many Lowe’s could Rob Lowe rob, if Rob Lowe could rob Lowe’s. * Past performance is not a guarantee of future results. Indices are not available for direct investment. 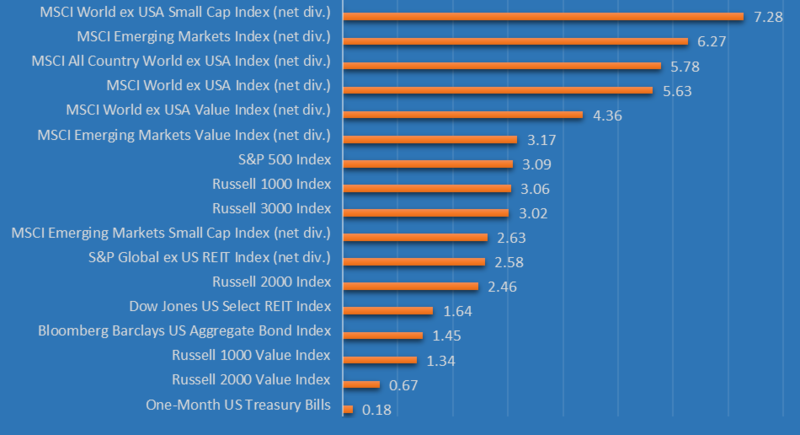 Index performance does not reflect the expenses associated with the management of an actual portfolio. Market segment (index representation) as follows: US Stock Market (Russell 3000 Index), International Developed Stocks (MSCI World ex USA Index [net div. ]), Emerging Markets (MSCI Emerging Markets Index [net div. ]), Global Real Estate (S&P Global REIT Index), US Bond Market (Barclays US Aggregate Bond Index), and Global Bond ex US Market (Citigroup WGBI ex USA 1−30 Years [Hedged to USD]). The S&P data are provided by Standard & Poor’s Index Services Group. Frank Russell Company is the source and owner of the trademarks, service marks, and copyrights related to the Russell Indexes. MSCI data © MSCI 2016, all rights reserved. Barclays data provided by Barclays Bank PLC. Citigroup bond indices © 2016 by Citigroup.